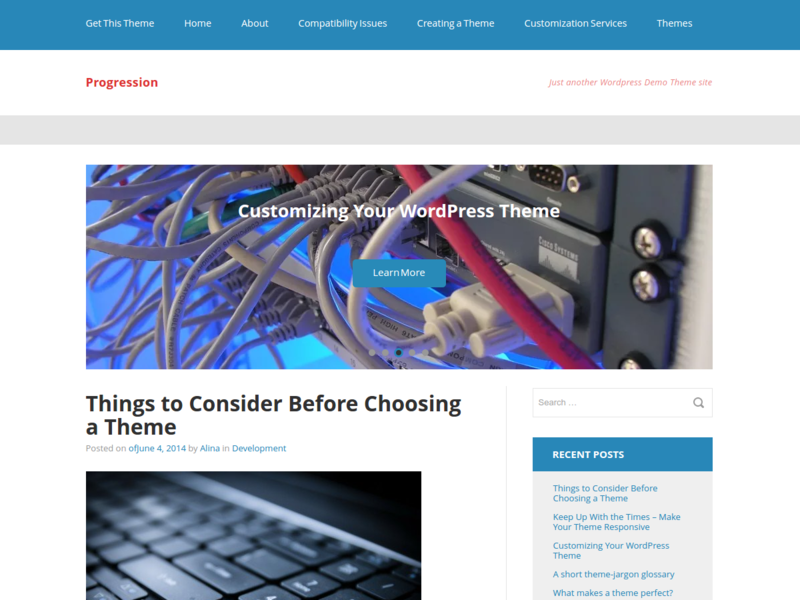 With its elegant design and a whole pack of useful features, this theme will turn your website into the fortress of IT and computer knowledge. Progression is a theme that represents movement, innovation, and technological advancement. 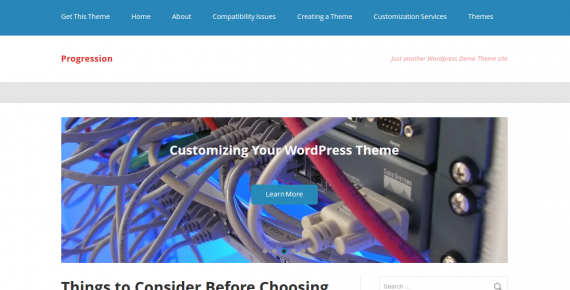 With its elegant design and a whole pack of useful features, this theme will turn your website into the fortress of IT and computer knowledge. 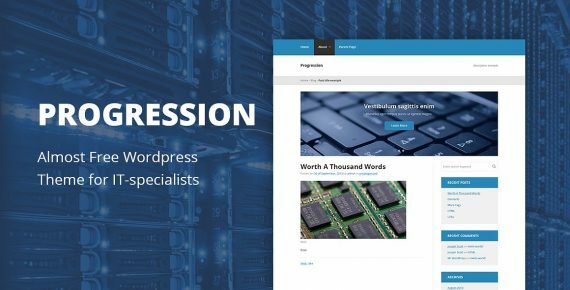 At the same time, Progression is very simple to master, so even if you are a newbie to WordPress, you will hardly find any difficulties working with this theme. Also, this theme will be great for News magazines, Distribution Services, News Network sites, Movie news, Movie reviews, Sports News, Daily News, Sports newspapers, Sports magazines and Government agencies. Check out Progression and take a large step towards progress!